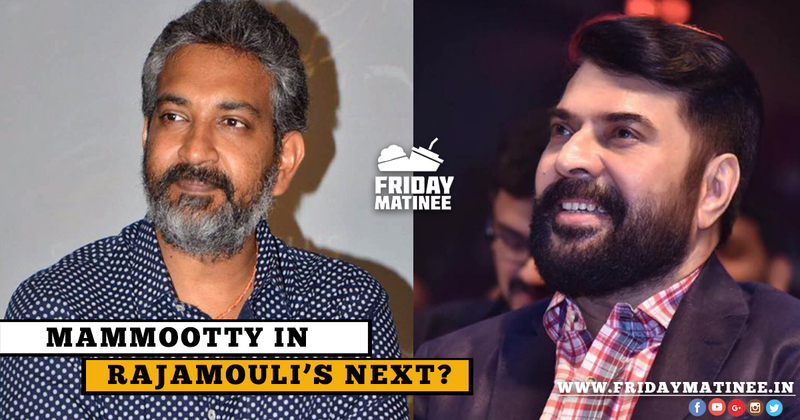 Home News Malayalam Mammootty in Rajamouli’s Next ? kWhat the title says is absolutely true and Friday Matinee is excited and delighted to reveal the information from a close source from Megastar cabin. SS Rajamouli,The Director of Magnum opus Bahubali which is creating wonders in box office shattering all the possible existing records one after the another has reportedly met Megastar Mammootty in a secret meeting at Kochi during the pre release promotion of his mighty Bahubali 2: The Conclusion. Earlier though there were reports that S S Rajamouli will be meeting Mammootty for wider release of Bahubali 2 across of Kerala as suggested bu Dileep,But there were no further reports on this. But now what we here from the very close source from the Megastar camp is that eventually the director actually did meet the Megastar and discussed about a project in a meeting which was held at Kochi. Mammootty was seen pretty happy at the discussion throughout and now it needs to seen whether the Megastar who is into the 46th year of his career gives a green signal for the project which might even be the biggest project of his timeline. Also from the Mammootty camp what we here is that this would be a trillingual movie in Telugu, Tamil and Malayalam. Other details and star cast are unknown, which would be known in the due course of time. Meanwhile Bahubali 2 :The Conclusion is shattering all records in in world wide box office grossing over 550 crores in a week. In Kerala , the trade analyst predicts over 40 crores of gross in its lifetime run. On the other hand Megastar had quite a good Vishu with his first release the Great Father doing a business of 55 crores in worldwide market and his second release Puthanpannam completing third week in major centers. Friday Matinee is eager than anybody else to get more information on this delightful news and we shall keep updated about this to all the readers.